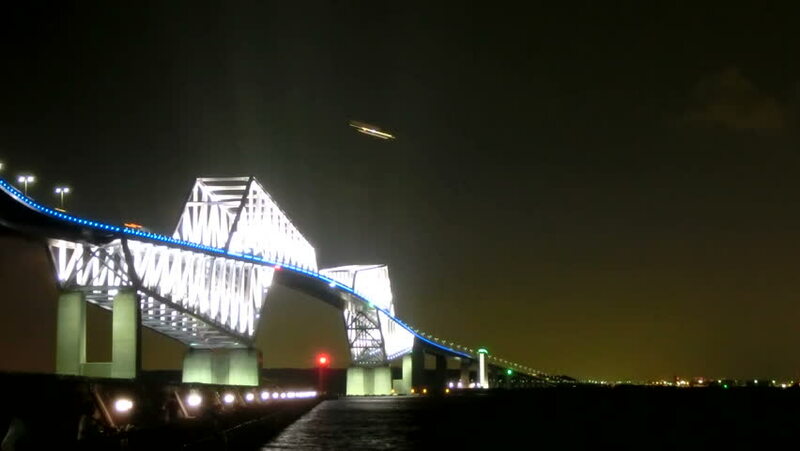 Landing airplanes like shooting stars over the illuminated Tokyo Gate Bridge. hd00:07STAVANGER, NORWAY, APRIL 2013 Cultural house in Stavanger, Norway at night. 4k00:26SANTA MONICA - USA, NOV 7: Traffic on Pacific Coast Highway at night, in Santa Monica, California on Nov 7, 2015. Santa Monica had become a famed resort town by the early 20th century. hd00:08DUBAI, UNITED ARAB EMIRATES - APRIL 13: People walking at night in Dubai near the trade center Souk Al Bahar and skyscraper Burj Khalifa on April 13,2010. Burj Khalifa is the tallest man-made structure ever built, standing at 828 m (2,717 ft). 4k00:14Time lapse of traffic and architecture in Seoul, Korea. Han River Bridge.